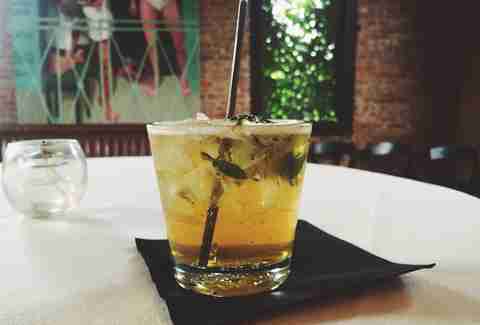 We know what you’re thinking -- Louisvillians only drink mint juleps on the first Saturday in May. No one actually likes this traditional libation, right? It’s especially abominable when made with the pre-mixed, already bottled concoctions you can find at liquor stores and most of the bars in town. 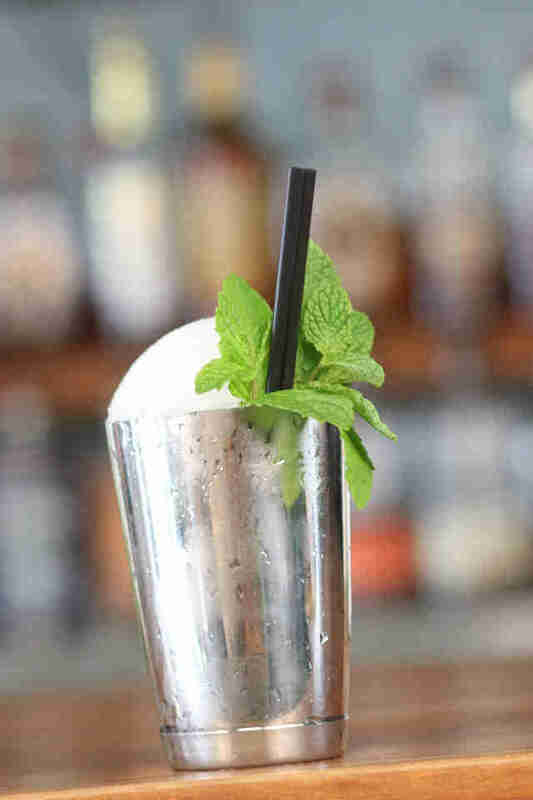 In many ways the poor Julep has been given a bad name; however, when properly constructed and made fresh to order, you’d be surprised at just how satisfying this classic cocktail can be. And since we are in Louisville after all, we do have bars that know exactly how to treat a Julep right. 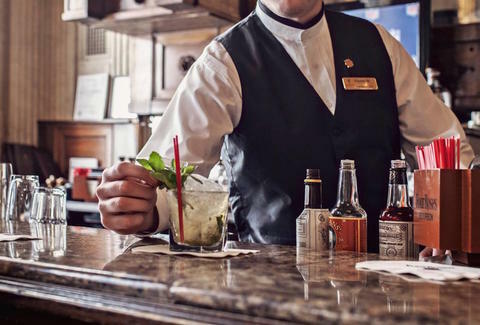 The Brown Hotel’s julep is as timeless as their ornate lobby bar, and their towering ceilings and embellished columns are the perfect setting for a cocktail before or after the races. Keeping things classic with a blend of equal parts mint-infused simple syrup and Maker’s Mark, the Brown bartenders add a splash of club soda and a shower of powdered sugar to their juleps, an extra embellishment which pairs well considering the adorned setting. Among the abundance of drinking establishments in Louisville, The Silver Dollar may be the one that takes the art of making a mint julep the most seriously. From the treatment of the mint (kept in a julep cup with a water and a few ice cubes to ensure extra coldness and freshness), to their bourbon choice (a 100-proof Four Roses Single Barrel) to the globe of snow-cone-crushed-ice that sits atop the julep cup, this julep is one of the purest versions you will find and will dispel any previous julep encounters that had you thinking it wasn’t a worthy cocktail. Located just steps from the Yum! Center, Doc Crow’s Smokehouse and Raw Bar is known primarily for their flavorful BBQ and freshly shucked oysters. Their bar program never fails to impress and their creative take on the classic julep is no exception. 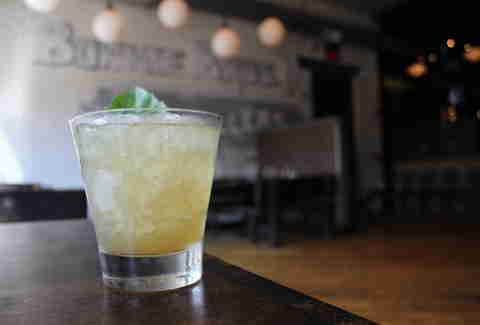 Substituting basil for mint, Doc Crow’s Near Eastern Julep features a ginger-infused simple syrup in their cocktail, which is always made with Old Grand-Dad Bottled-in-Bond bourbon. 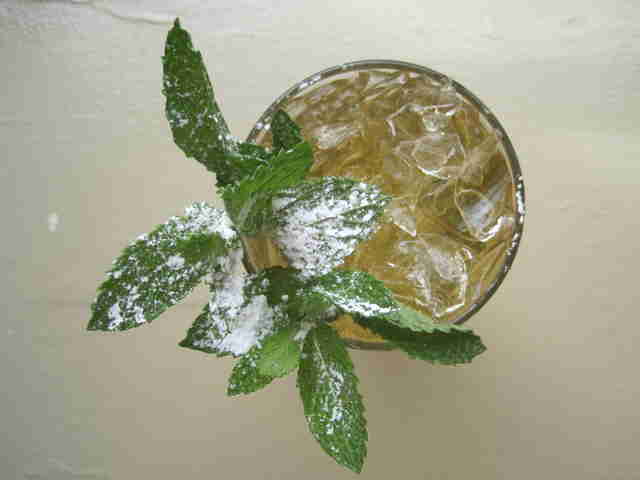 Each julep is topped off with the herbal note of Becherovka, a bitter with notes of spicy clove, and plenty of crushed ice. Home to over 150 different bourbons, one would expect that Jockey Silks Bourbon Bar would be able to turn out one of the city’s best renditions of a classic julep. Building their julep with Woodford Reserve and an ample amount of fresh mint, Jockey Silks believes that the key to a perfect julep is to gently muddle the mint in the glass with the simple syrup, massaging the fresh herb rather than tearing it to bits and pieces. 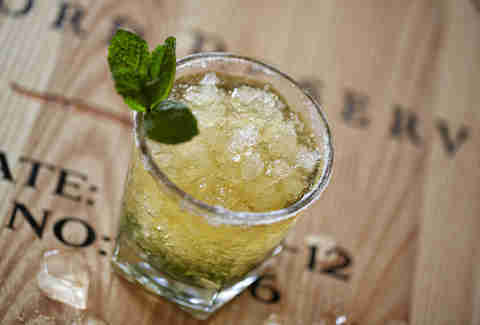 They also follow the julep’s number one commandment -- using ice that is crushed to order in house. Down One offers up one of the most unique takes on a julep with their Ginger Bear Claw concoction. However, don’t let the name fool you into believing this cocktail is anything but sweet and gentle. A fresh blackberry puree is blended with both ginger liqueur and fresh ginger, and high-proof Henry McKenna BIB bourbon the ideal match to stand up alongside these punchy flavors. Mint sprigs top off the drink and give a nod to the classic cocktail from which the Ginger Bear Claw Julep was derived. Mint is the name of the game when it comes to RIVUE’s take on the julep, a cocktail they have coined the Jelly Julep. 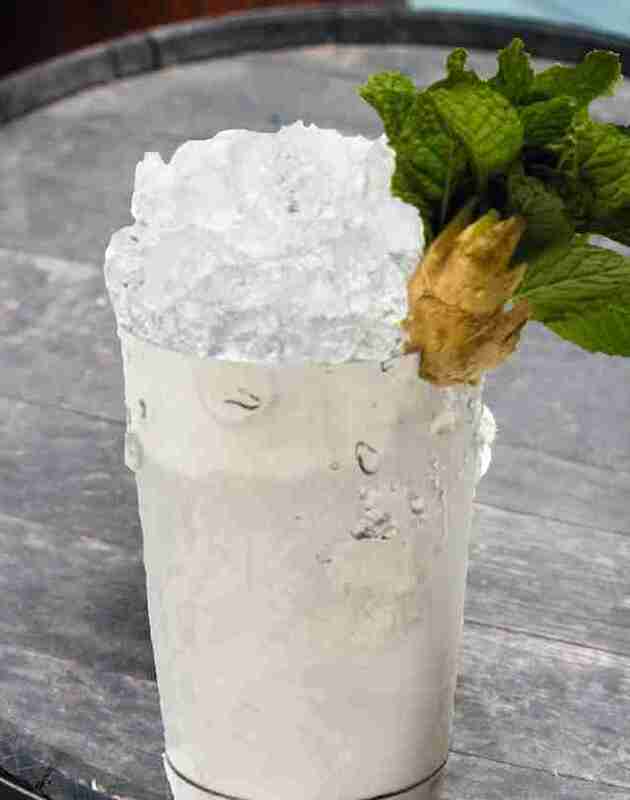 Woodford Reserve is the bourbon of choice for this drink and it is combined with fresh mint, demerara simple syrup, and a teaspoon and a half of mint jelly before being shaken vigorously with ice. Served in a mule glass and garnished with a sprig of mint, this is one minty-fresh drink to sip while taking in the expansive and sweeping views of Louisville from RIVUE’s rooftop dining room. You’ll be hard pressed to find a restaurant in Louisville that doesn’t celebrate bourbon, and, given their name, Bourbons Bistro is no exception. This is the place to order a taste of your favorite bourbon or to try a bourbon cocktail, as you know they are going to get it right. 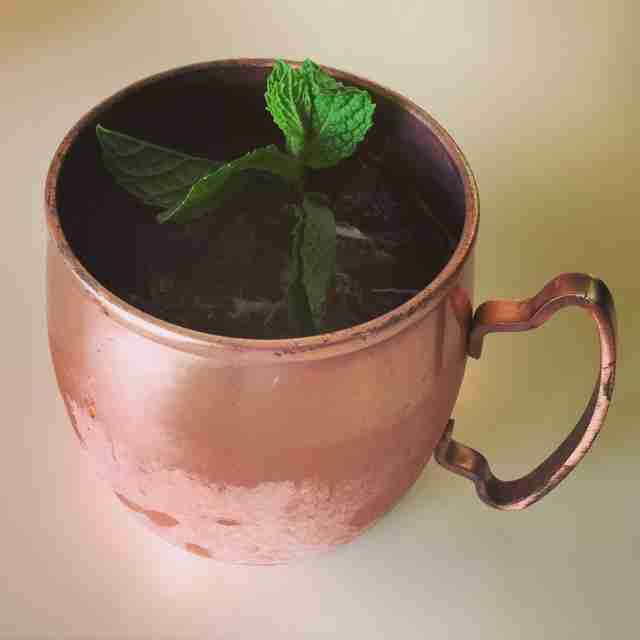 Because they are dedicated to showcasing Kentucky’s finest spirit, Bourbons Bistro keeps their mint juleps pure by muddling fresh mint with their homemade simple syrup and topping it with a hearty pour of Four Roses Single Barrel. Topped with ice and garnished with mint, this particular mint julep packs an extra bourbon punch and is ideal for sipping. A good Louisvillian makes regular trips to the bar at Proof on Main, ensuring they never miss out on their ever-changing seasonal cocktail creations. Their expert bartenders are always available to make the classics as well, including an expertly crafted, from scratch julep. 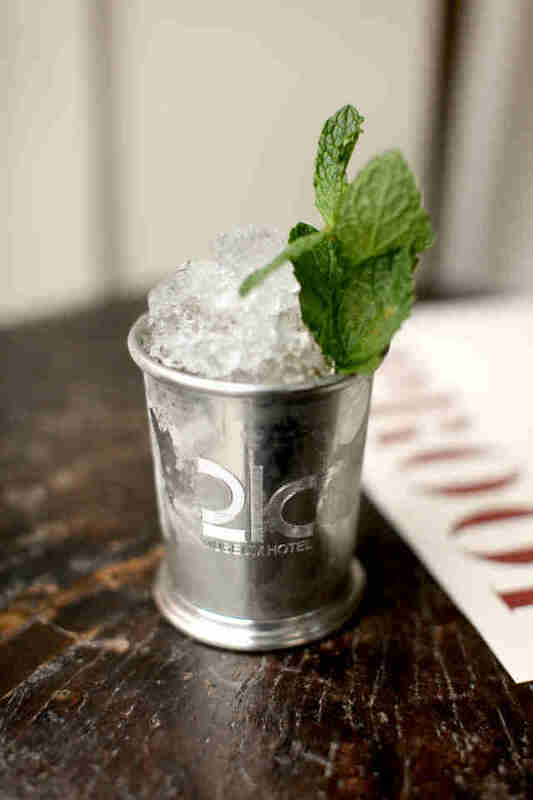 They took things up a notch for Derby 2015 and showcased their Woodford Herbed Julep. Substituting the standard simple syrup with a house made ginger concoction and adding a dash of Amaro Dell’Erborista, a clove-orange-honey flavored Italian aperitif, this julep is a true work of art, which is in keeping with Proof’s museum surroundings.